(1996 Olympic Theme). Composed by Babyface David Foster and Linda Thompson. Arranged by Ed Lojeski. Pop Choral Series. Pop, Show Choir, Inspirational, Graduation. Octavo. 12 pages. Published by Hal Leonard (HL.8200677). An inspirational song from the 1996 Atlanta Olympics. 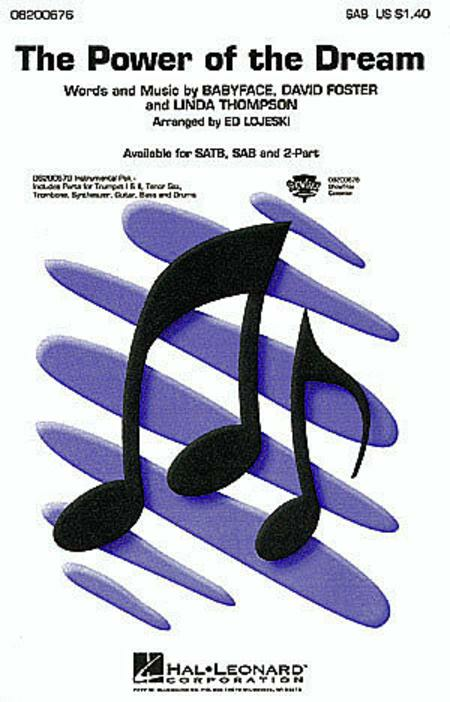 Available: SATB, SAB, 2-Part, Instrumental Pak, ShowTrax Cassette. Performance Time: Approx. 4:20.